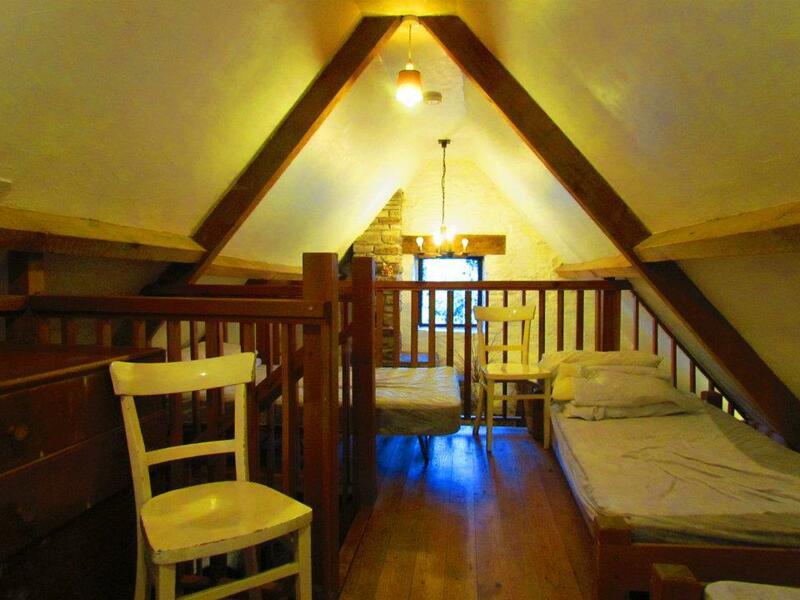 Comfortable self catering accomodation for up to six people. The rustic charm of the old stone building has been maintained while ensuring modern comforts. Sadly, we no longer have the sauna as it was destroyed by fire in August 2014. Lounge/dining area with double divan, colour TV and coal effect gas fire set in a stone fireplace. 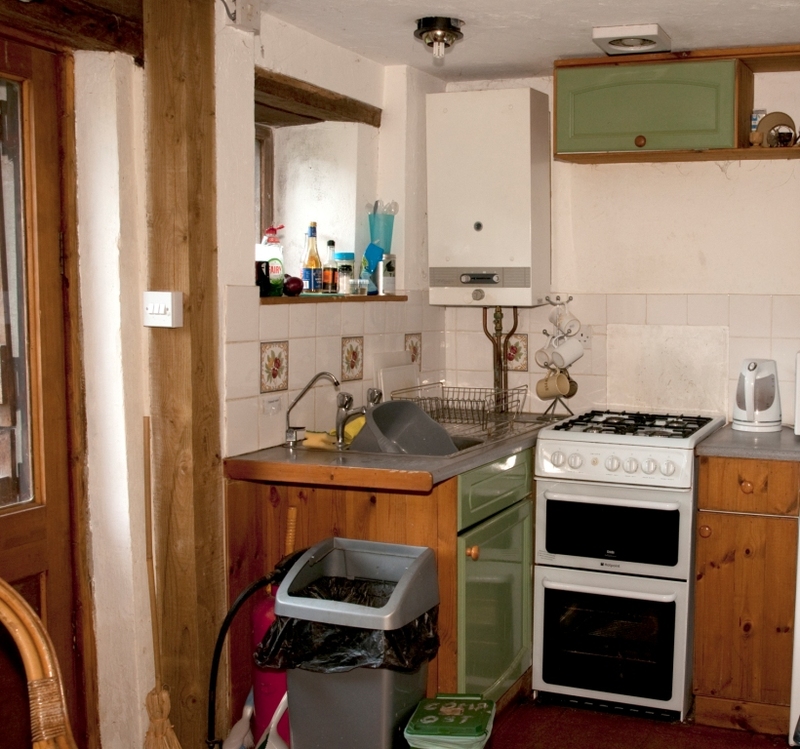 well equipped kitchen and toilet/shower room with hot water. Four single beds accessed by a spiral staircase. Beside a shallow pond guests can enjoy a small garden with barbecue and table and chairs. Duck eggs, fresh produce in season and homemade preserves are usually available from the farmhouse. Guest should bring: Food, sleeping bags [or duvet and lower sheet], towels and pillowcases. We do not provide linen. Energy, Recycling and waste We are an eco-site and have installed a number of renewable energy features including pv panels on the bunkhouse house roof. We ask you to help us minimise waste of energy , water, food and resources by switching off lights and appliances when you are leaving the premises or no longer need them, and recycling as much as possible in the black box and food waste bin. We are allowed only one bag of landfill waste per week as our local council will not provide us with a trade waste service. This one bag is for the bunkhouse, campsite and ourselves. You can leave on the shelf non-perishable food items for other guests and perishable items in the fridge. Office hours Please try to time your arrival, departure [settling up], telephone and other enquiries to normal office hours whenever possible. Note-We are closed to new arrivals on Fridays between 10pm and 8 am, and from 9pm to 8am other nights, except by special arrangement. If your arrival is unavoidably delayed eg by traffic congestion please phone to warn us before 9pm. Lunch time is 1-1.45pm. For bookings and enquiries please contact us on bookings@middleninfa.co.uk. To check availability please follow this link to our Holiday Lettings page, but feel free to email us directly to book. If anything is not right please TELL us and give us a chance to put things right for you!